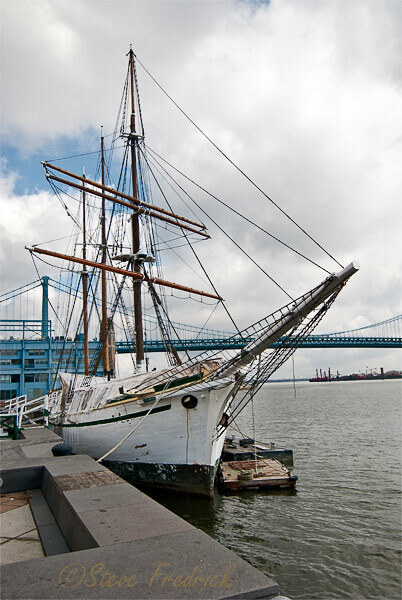 Penn's Landing is the waterfront area along the Delaware River in center city Philadelphia. 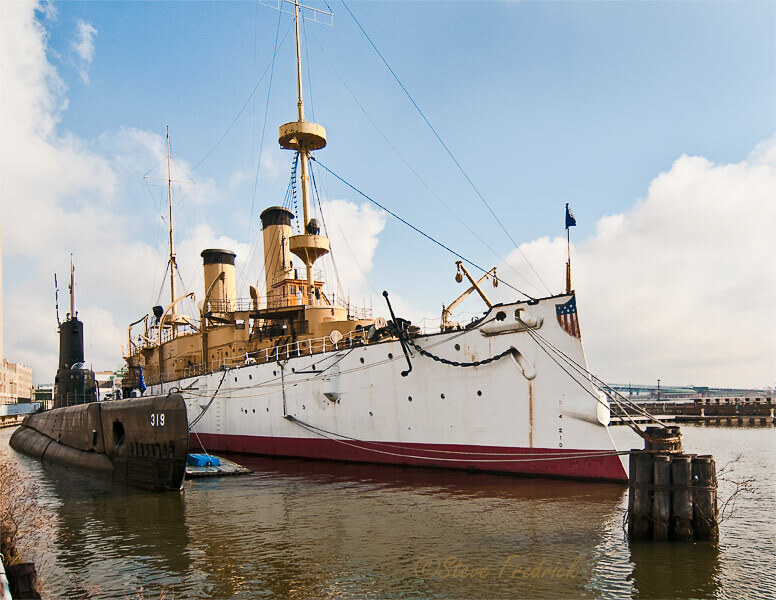 It is home to the Independence Seaport Museum, the Moshulu, and the Gazela. 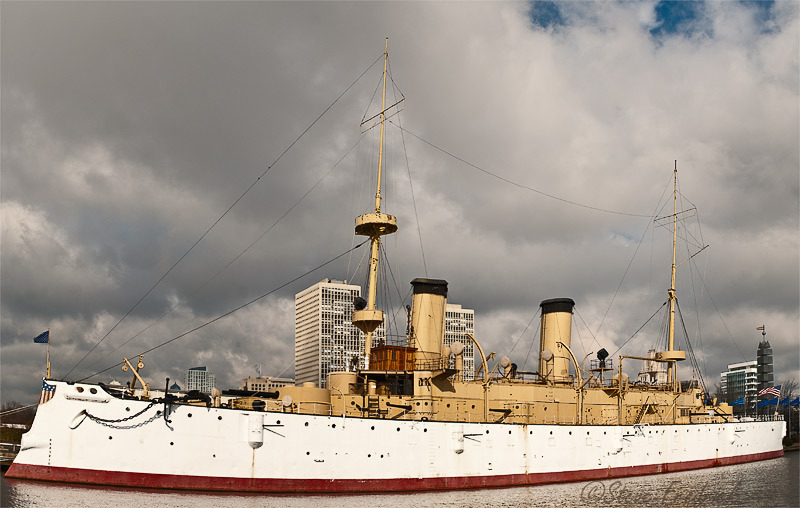 In addition to the Museum building itself the Independence Seaport Museum maintains the USS Olympia (C-6), Admiral Dewey’s flagship during the Spanish-American War, and USS Becuna (SS319), a WWII submarine, along the waterfront. 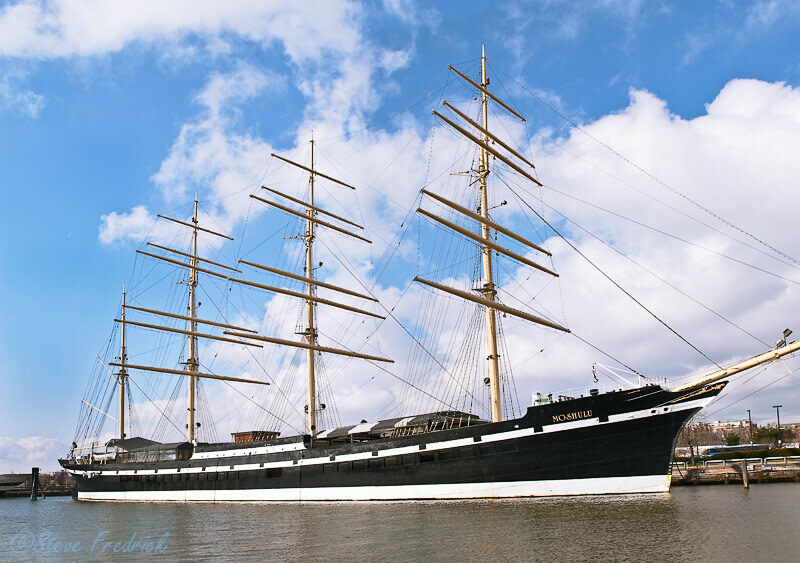 Moshulu is the largest four-masted sailing ship in the world still afloat. Once a proud purveyor of the seas, she now servers as home to an upscale waterfront restaurant. 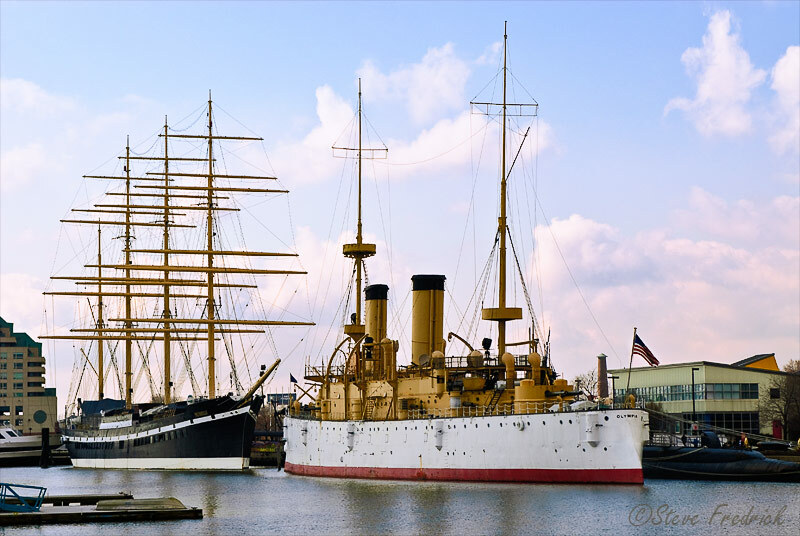 Mosulu and Olympia are berthed bow to bow at Penn's Landing. 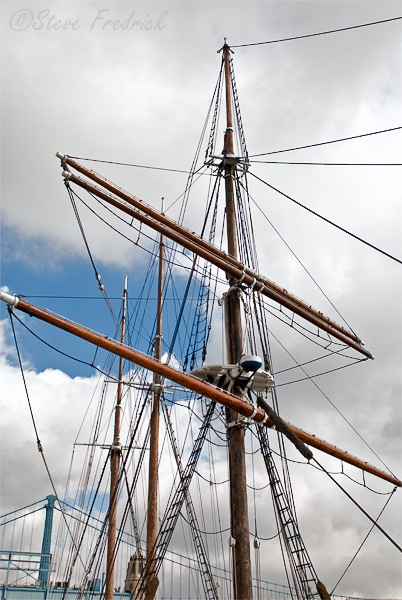 Tall ship Gazela, a 177-foot-long square-rigged vessel built in 1883. 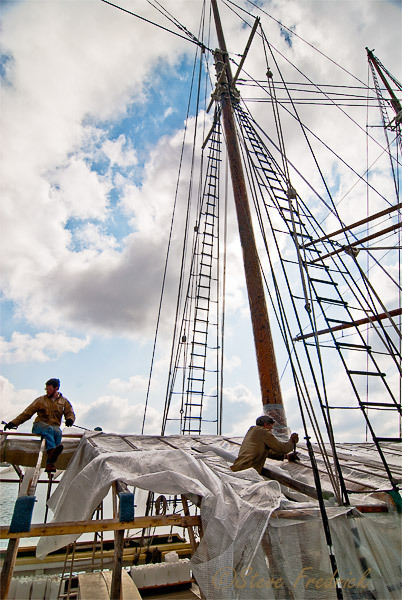 Gazela Rigging Removing Gazela's "winter coat"